Happy football Friday from Bash Brothers Media! It’s another exciting weekend of ball for the Magnolia State. It will be the start of the high school football playoffs in some classifications, and epic season-ending rivalry games for others. The latest installment of the #EatDirt rivalry between Rankin County neighbors Pearl and Brandon looms largest. The No.2 Pirates (11-0, 6-0) visit the surging Bulldogs (7-4, 5-1) in a de-facto Region 3 championship game — as if the rivalry stakes weren’t big enough. Early in the season, Pearl coach John Perry did a masterful job of steering the ship unscathed while his team (the defending 6A south champs) adjusted to the pressure of playing with a target. Now the Pirates are sailing: they’ve outscored their last four opponents 173-6, with three shutouts. Even with a loaded team, Perry should be considered for coach of the year honors. He’s earned the status of “elite” either way. Down Highway 80, Brandon’s Tyler Peterson has done his own bang-up coaching job in in resurrecting the Bulldogs season. Brandon started 2-3 with a debut sophomore quarterback, Will Rogers, and without difference-making size on either side of the line. But Peterson and his offensive staff have done a great job of finding playmakers and figuring out what the Bulldogs can do well. They’ve responded with five wins in six games, highlighted by a season-high 52 points against Oak Grove. Pearl fields the fastest and arguably most ferocious defense in the state of Mississippi. Someone will have to #EatDirt. “Thunder” Dan Mullen has built another winner in Starkville. A stout looking 16th ranked Mississippi State team takes the field against UMass in a game that should push the Bulldogs to 7-2 on the season, with the Alabama Crimson Tide rolling in the following Saturday. 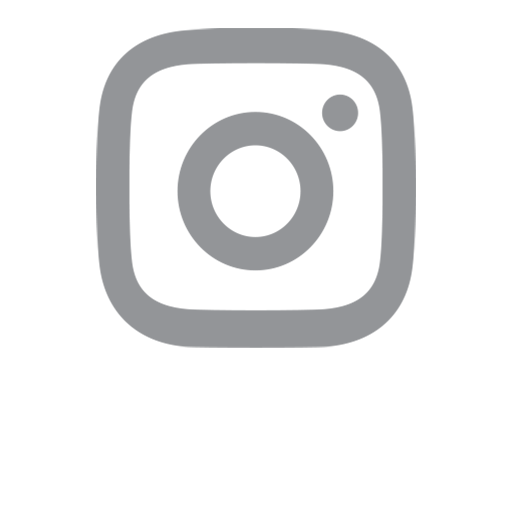 Per yearly custom, Mullen’s name leads the list for open college football jobs – most prominently the University of Florida, where Mullen won two national championships as offensive coordinator and his old boss at Mississippi State, Scott Stricklin, is currently athletic director. I’m not buying the Mullen to Gainesville talk. Or at least, here’s some perspective on why it’s far from a big jump, let alone a sure thing (5:00 mark). Ole Miss (3-5, 1-4) visits Kentucky (6-2, 3-2) with a different kind of uncertainty around its future head coach – just surely that it won’t be interim guy Matt Luke. The discussion is now about who is the right guy to raise the future Rebels back up from the NCAA rubble into SEC contention. This one’s about fit. Ole Miss needs a low-profile coach who can 1) rebuild a program, 2) win some games, and 3) be more blue-collar than star-chaser. 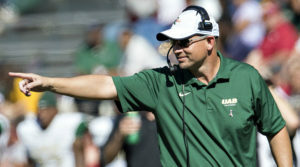 One name I like: University of Alabama-Birmingham (UAB) coach Bill Clark. Years ago, Sylvester Croom cleaned up Jackie Sherrill’s mess at Mississippi State and cleared the way for Mullen to win big. Southern Miss (5-3, 3-2) heads to Rocky Top, where Tennessee coach Butch Jones is burning alive. Golden Eagles second year coach Jay Hopson is still looking to find his footing. USM was streaking with three straight wins but just as suddenly got derailed in a 30-12 home loss to the aforementioned UAB. (Read: Clark can flat coach). Expect an ugly, low-scoring affair; the norm under Jones, and fine for Hopson’s taste. In the SWAC, Fred McNair’s Alcorn State Braves (5-3, 4-1) host Alabama A&M (3-5, 3-1) in a battle for first place in the Eastern division. McNair has done an impressive job again this season. Even the losses speak well: seven apiece to FBS-school Florida International (5-2) and McNeese St. (6-2), and a lone conference defeat to West juggernaut Grambling St (7-1). That’s a combined opponent record of 18-5. The Braves could go a long way to clinching another trip to the SWAC title game with a win Saturday on the Reservation. Follow us on Facebook at facebook.com/bashbrothersmedia, Twitter @bashbrosmedia, Instagram @bashbrothersmedia.